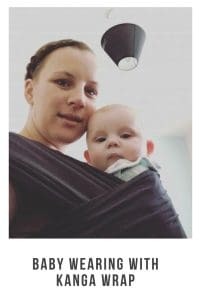 I have seen many parents carrying their children in these wraps and I think to myself I would love to use one of them but it looks so hard and I would just never be able to do it. Well I have recently been given the opportunity to try the KangaWrap and see if I can be like one of them parents I see walking down the street. 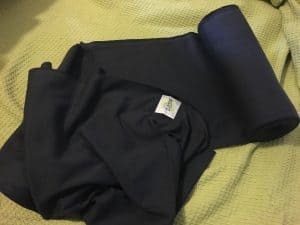 The KangaWrap comes in a handy sleeve meaning that you can fold it away and put it back in it when not in use. I now keep this in my car so I can use it when we are out and about instead of taking the pushchair out all the time. The KangaWrap is stretchy and made from organic cotton and is both cool and lightweight. 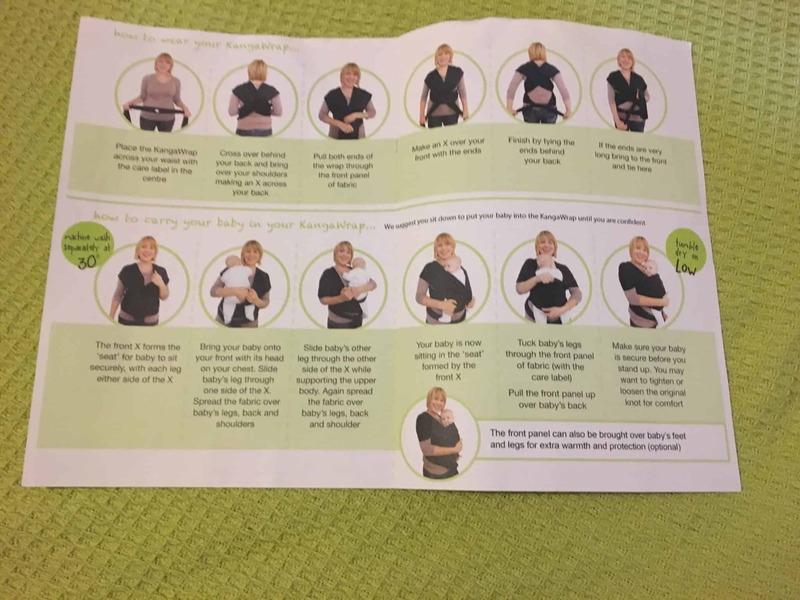 This wrap can be used right from birth and up until you little one is 15kg meaning this one wrap will last you for ever. 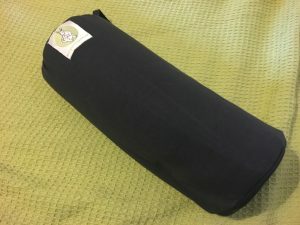 I love the fact that both me and my partner can use it as it has no straps or buckles that need adjusting each time. This is one thing about our old carrier that I dislike. 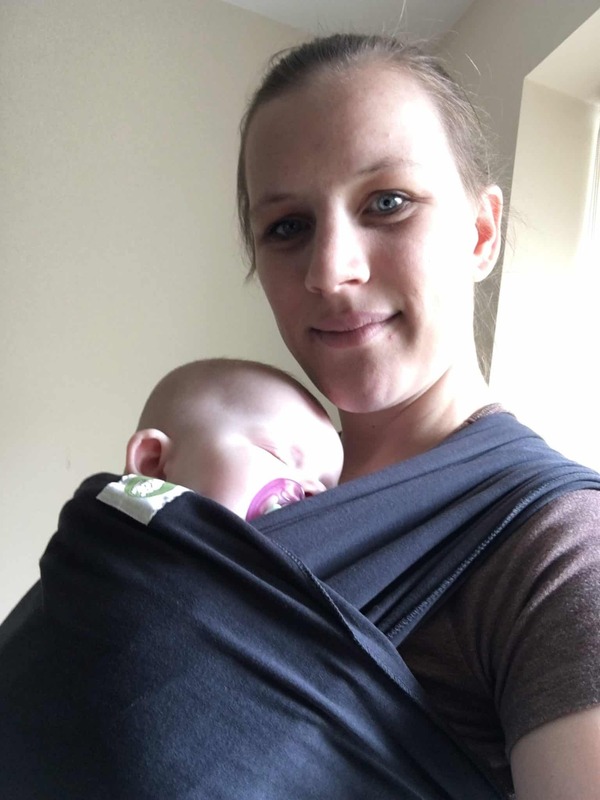 The Kang Wrap has been designed so it supports both baby and carer. 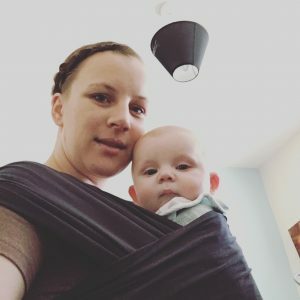 We used our KangaWrap a lot over the weekend. 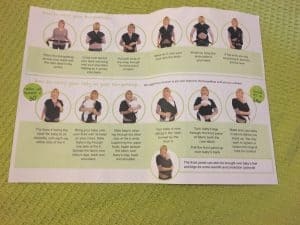 I found it really easy to do and after a couple of try’s I didn’t even need the instructions. As you can see in the pictures above. Ava was very comfortable in it and even fell asleep in the wrap when we went for a walk to the shops. The great thing is I left her in the wrap whilst I did some cleaning as she was snuggled. Ava loves to be close to you and have cuddles to go to sleep so this is perfect. I just wish I knew about it earlier and would of been so handy for when she was little. Closer interaction between mother and baby. Looking a little more into the KangaWrap company the things I have found out make this product even more special. The KangaWrap is part of trade 4 life meaning they are a non profit organisation run on fair trade principles. Trade 4 life help improve the lives of disadvantage people in developing countries by creating ethical trading opportunities. Which in turn makes employment opportunities for people in developing countries. They also work closely with Christian aid and Asha India. For more information about KangaWrap or to purchase a wrap then please visit their website KangaWrap . The wrap above is priced at £44.99 but this is the only wrap you will ever need.